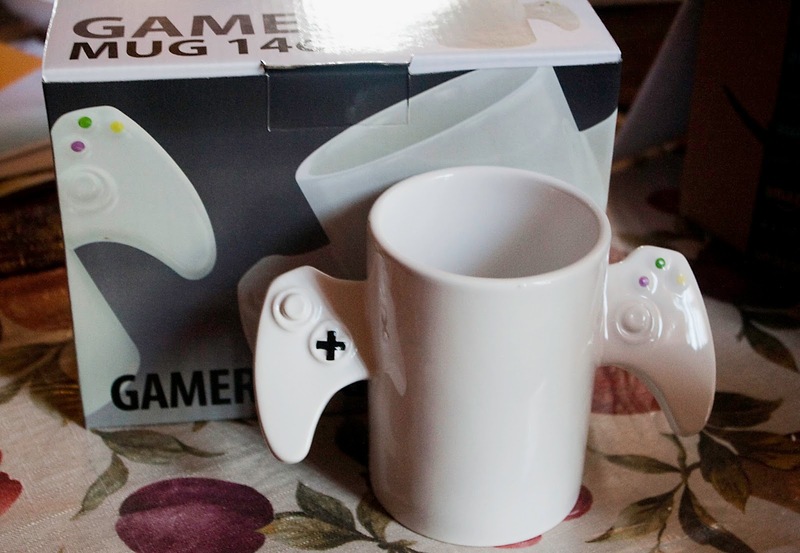 For those that can’t get enough gaming in their day I introduce you the new Kovot Gamer Mug. 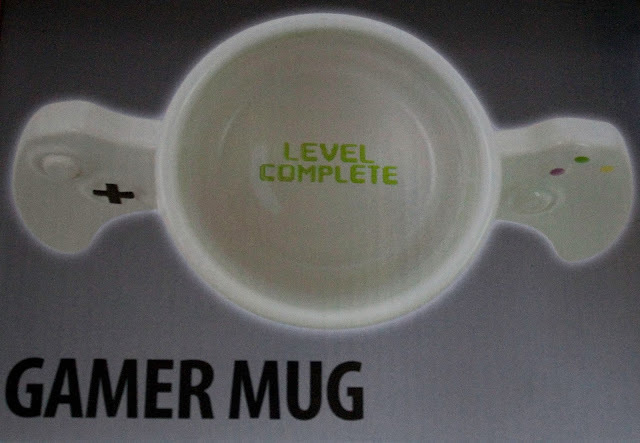 The KOVOT "Level Complete" Gamer Mug is a gamer’s mug, with two handles mimicking a game controller with hand painted buttons. 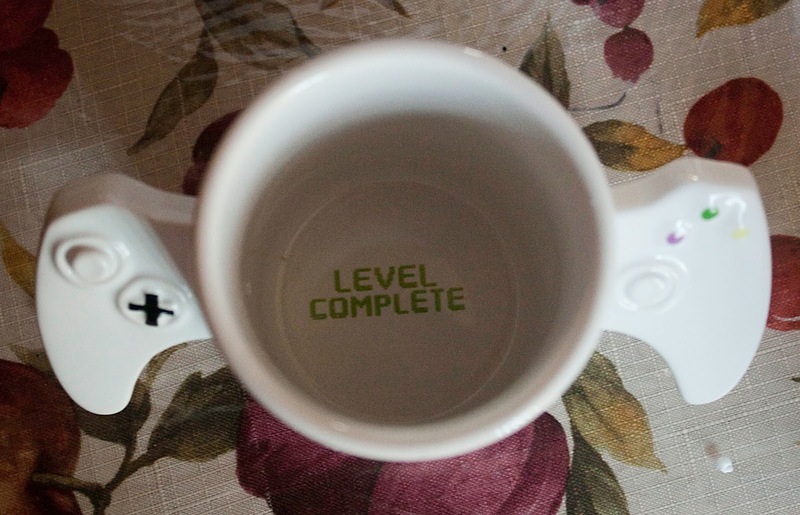 The mug holds up to 14oz of liquid and a "Level Complete" message printed on the inside bottom of the mug letting you know that you finished your drink in case you couldn’t tell. 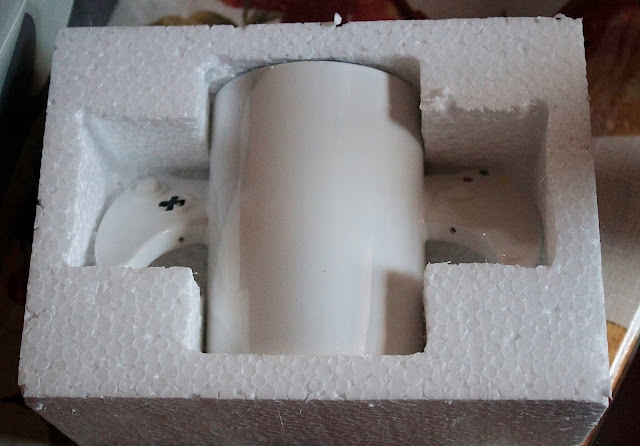 The mug itself is plain white with no other prints on it. What makes the mug stand out is its handles. Shaped in the form of a game controller, that resembles the Xbox controller, split in half. The buttons themselves aren’t squeezable or moveable at all, but it does feel really nice. Drinking from this mug is cool if you use both hands. Trying to drink normally with either handle feels uncomfortable and not as secure as a regular mug. Whether it’s hot or cold liquid drinking from this mug won’t increase your XP. 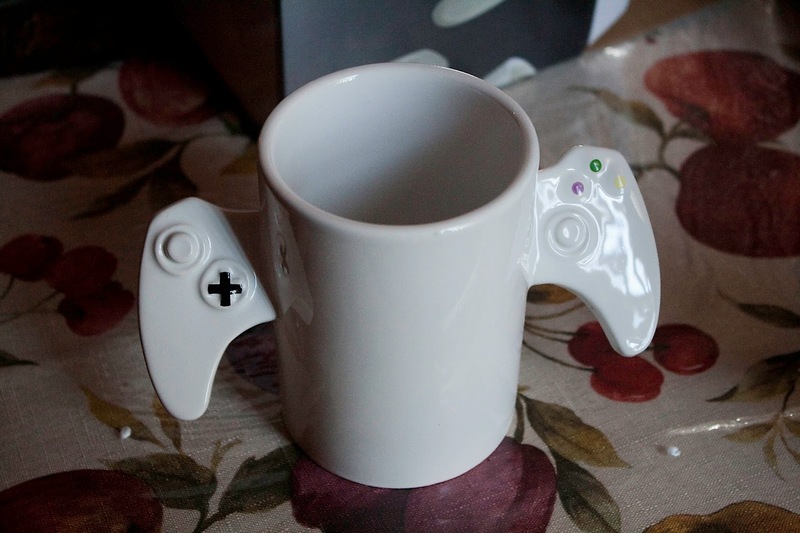 This is a mug for those that want more gamer related merchandise. The lack of any sort of printing on the mug really hurts it in terms of anyone wanting to buy it. I know you shouldn’t play with your food, but a retro print on the mug would give the owner a reason to play with the handles more often. For the price it’s not bad, since it’s more of a collectible and makes a good gift just in time for the holidays. Shop TeeFury's Drawn To Action Collection!